Twenty-five years ago today, one special little girl underwent an untested, foolhardy procedure in an attempt to save her life. 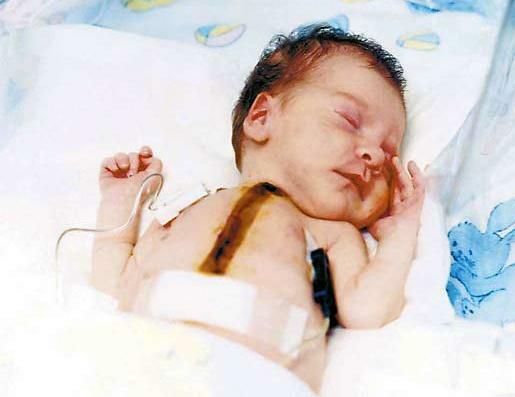 Born with a disease called hypoplastic left-heart syndrome, Stephanie Fae Beauclair, known as Baby Fae to the world at large, needed a heart transplant. Dr. Leonard Bailey and surgeons at Loma Linda University Children’s Hospital gave her that heart transplant using a baboon heart as a donor. While Baby Fae only survived another 21 days after surgery due to organ failure (unrelated to her heart transplant), her surgery taught doctors around the world an incredible amount about organ transplantation. While inter-species organ transplants are now forbidden by the FDA, Dr. Bailey and his team have performed more than 500 organ transplants in very young children, saving their lives and the lives of countless others through what they learned from Baby Fae. I know a couple of people who have had open heart surgeries, and it amazes me that anyone can make it through such an invasive, dangerous procedure. Dr. Bailey and all the physicians around the world who do these procedures are real heroes. Even though Fae didn’t live, she’s had a real impact on the world she left behind and has saved thousands of lives.